Every Monday night, the most impressive mix on ABC’s schedule isn’t that of sequins and celebrities on Dancing with the Stars, but the blend of quirky gusto and clever detective work on the network’s crime-drama-with-a-funny-bone, Castle. 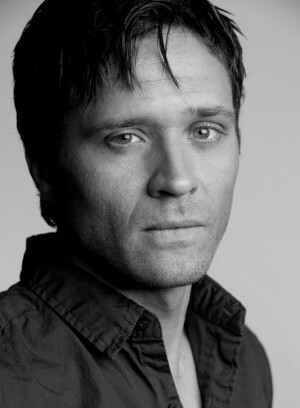 In true ensemble fashion, one of the factors that undoubtedly contribute to that successful equation is Seamus Dever, a professionally trained actor who knows the value of the craft and has the desire to put it into (gun-toting) action every week. As Det. Kevin Ryan, Dever tackles the frequently gritty streets and crime of the Big Apple alongside the show’s titular crime-novelist hero (Nathan Fillion) and the female detective who acts as his creative muse (Stana Katic). Over the past five seasons, Ryan has seen the ups and downs of marriage; the occasional squabble with his partner, Esposito (Jon Huertas); a dangerous blast from his undercover past; and the recent announcement that he is going to be a father. Dever chatted with GALO about what it’s like to develop a character on a long-running show, how he approached acting with his wife, and how his roots in theater compare to constructing a weekly television show. GALO: You’ve been a part of Castle for more than five years now. For an actor, it has to be a dream to have such a steady role that you can grow with, especially on a show that has such a loyal following. Looking back over these past few seasons, what has it been like to be involved with the show and the cast and crew? Seamus Dever: Well, it’s interesting because our show is still growing. That’s the most surprising thing, you know, we sort of have always been a little bit under the radar. The big joke that we like to make is, “Everyone’s mother watches Castle.” We’re big with certain age groups — particularly young people and older folks — but we continue to fly under the radar while our numbers keep growing week to week. And now we’re in syndication, so it’s been really interesting because it started off as the little show that could and it’s growing into something else. We’re now, I think, the second oldest [drama] on our network. It’s been crazy. GALO: Now, from an acting standpoint, has it been rewarding to work with the same group of people for so long? SD: Yes, absolutely. I got very lucky because everyone on our show is really easy to work with — they’re fun, they’re funny, and we’re all really collaborative. We all know each other really well now, so the days go by very quickly because we all have a great time and we all suggest things for each other, and help each other out while filming. It’s a good group because you get to know someone really well and you can (play off that relationship). Plus, we all still really care about the show, so that’s a pretty good sign I think. GALO: And you have an extremely avid fan base that still cares about the show and sticks with it week to week and season to season. SD: Definitely! They have been very helpful in certain things. We are never going to win any major awards — it’s just not going to happen. But People’s Choice Awards, however, have proven that we have a lot of fans because we have won two years in a row now [for Favorite TV Crime Drama]. That’s a testament to our fans that they can rally like that. Plus, there are things that they do on Twitter each week where we are regularly a trending topic every Monday that we air a new episode. It’s a lot of fun because it has allowed us to be really interactive with those fans too — the cast is all pretty active (on Twitter). GALO: Some celebrities have been known to interact with fans by tweeting along with them while episodes are airing. Do you ever tweet with fans during new episodes? SD: Yeah, I did a couple weeks ago. There was an episode that was pretty centric to my character and I said, “Let’s tweet!” And I tweeted three time zones, as the episode aired across the country. I got [the episode] on DVD and I followed along with the viewers. Most of the time they just ask questions, so I answer some of those. But it gets tough, because you don’t want to have any spoilers for the people who are still waiting to see it on the West Coast and Mountain Time. But, yeah, I do live tweet because I think it is a good way to drum up excitement and interact with the fans. GALO: Now, you mentioned the episode, which was called The Wild Rover (aired April 25th), where your character Det. Ryan had his past undercover work with an Irish gang come back to haunt him. With Castle in season five, is it important for you that the show has episodes like this where you get to dig into Ryan’s history and find out more of who he is? SD: I think it is important for the longevity of the show for it to dig into everyone’s past. I want to learn more about Lanie, Esposito and Ryan. I think it is important for us to expose those things if there is going to be any longevity to the show. I don’t know how much further we can go with Beckett and Castle. We’ve learned a lot about them in about four and a half years, but there is still a lot to learn about the rest of us. So, I would love for the show to go in that direction because I think it sort of surprises the audience. They think they know these characters and then find out there is stuff they have yet to learn about them. GALO: So you do feel like there is more for viewers to learn about Kevin? SD: I think so. I think there is a lot in the past, and there is a lot of their lives outside (of the crime-solving world) that we still have to learn about. There is still so much to learn about Kevin Ryan’s family. He has two older sisters, but he never talks about his family — same with his partner, Esposito. So, yeah, I do think there is still a lot of material left to mine there. It just depends on the writers, who have to decide if it is important enough to pull that out. We’ll see though. Hopefully, that comes down sooner or later.